I'm 5'6. 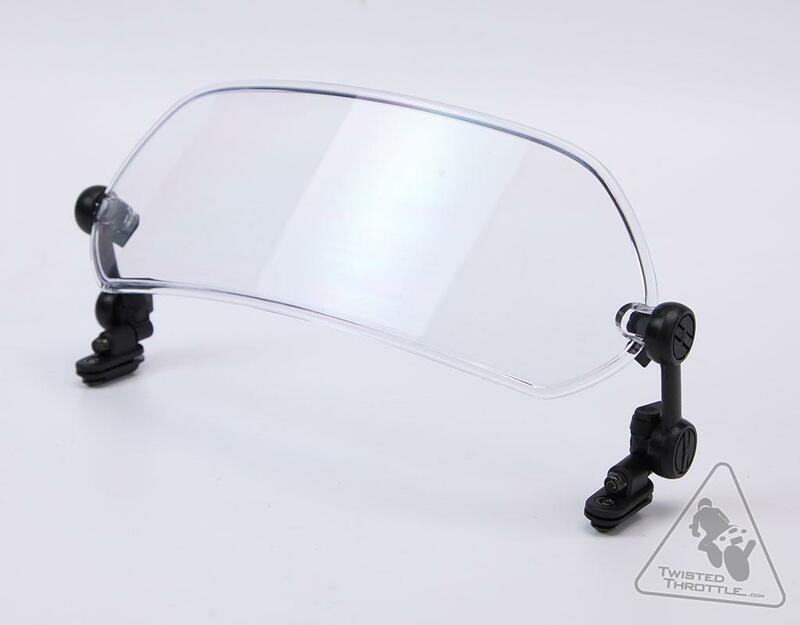 What I'd like to find in someone willing to sell their stock windshield cheap so I can cut a few inches off the top and see how that does. I run my stock shield down most of the time and it's still a bit too tall. I'm thinking 3 or 4" shorter would be the cat/s meow. air will only bounce so far over the top of an object (like a windshield). inseam has nothing to do with it, but torso height does. Look at wind tunnel tests with smoke and you will see wind doesn't bounce very high over an object. If you want still air you'd better be looking right over the top of your screen or preferably thru it. Correct me if I’m wrong but, most people say how tall they are, followed by their inseam to give other people a good idea of torso height since it’s fairly simple to compare inseam lengths. Yes, your correct, inseam has nothing to do with it, it’s just a good comparison. Every option is a compromise,Laminar Lip does a good job cheaper than anything else. On the stock shield,it relatively smooths airflow and can be affixed to give 1 to 4 inches of extra height. I have been reasonably satisfied,it also will add about 2 inches to width at top portion of shield. Biggest negative:makes cleaning tough. Works very well on my 2013 with a stock screen. Some googling later... there are a host of ...um... offshore sources, mostly on Amazon. From what I saw, thanks but no thanks. Two other names came up: Wunderlich and Puig. I've used other Wunderlich gear - it's darn good. That mount would drive me insane. OMG!! Wunderlich wants $201 for their deflector. The Puig deflector goes for $114 on RevZilla. ADDED: sheeeyite!!! $102 for the plastic bit alone! I am very happy with my Laminar Lip.Works great for me!And for my passenger from what she says..
Every option is a compromise,Laminar Lip does a good job cheaper than anything else. On the stock shield,it relatively smooths airflow and can be affixed to give 1 to 4 inches of extra height. I have been reasonably satisfied,it also will add about 2 inches to width at top portion of shield. Biggest negative:makes cleaning tough[/B]. What's different about cleaning that one? Perhaps try one of these before spending the big bucks. It will give you an idea of what to expect. I have one on the dirt bike. Oh, wait. All of the photos of installed deflectors show the plastic has two bends or creases spreading out from the mount. More than one photo shows the distortion that can be expected from the creases. It's frustrating because the artwork shows only a curved sheet. @RaYzerman : does your deflector have creases or is it curved? All of the eBay deflectors from China, Inc. appear to be creased.